The Return of "Temperance & Temptation"
Celestial Monochord readers will be glad to know that the Rose Ensemble's upcoming season will include Songs of Temperance and Temptation. The show will be back in November for an eight-city tour of Minnesota and, in abbreviated form, for a Mississippi riverboat cruise on October 23. This is great news. The three performances of Temperance and Temptation that closed the Ensemble's previous season included the first known performances in over 83 years of a peculiar, foot-stomping composition known as "Moonshiner's Dance Part One." This piece has been the axis around which my research, writing, and preservation efforts have revolved for more than five years. Hopefully, the Rose's upcoming November performances will give Minnesota another chance to catch an incredibly rare performance of "Moonshiner's Dance," a neglected and nearly forgotten landmark in the state's musical legacy. But even for me, the hope of seeing more of "Moonshiner" isn't the best reason to look forward to this season's revival of Songs of Temperance and Temptation. The show is very amusing — packed with fresh songs (that is, new-to-you and very alive), sung by skillful, versatile, and charismatic vocalists. The show is also informative, immersing you in a kind of cultural history of alcohol that's likely to transform your understanding. But the Ensemble's marketing materials reprint a blurb from a local paper saying, "No one makes scholarly research more entertaining than The Rose Ensemble." I think this subtly misses the main point, the best thing about the Rose and this show. What I like most is the show's unwavering confidence that its surest bet in amusing the audience is to tell them something they didn't already know. The Rose just assumes from the start, correctly and to great effect, that surprising information — learning something — is the among the wildest experiences the stage has to offer. To me, this approach felt courageous and just a shade radical in its sheer respect for the audience — a belief in the audience's intelligence, but even more in its willingness to be game for something new. My frenzied notes taken during the single performance I attended in June have grown cryptic with time, but at one point I simply wrote, "The amazing research." I'm fairly well versed in the history of pop music during and just before Prohibition. But the Songs of Temperance and Temptation were almost all completely new to me. And the photographs projected behind the performers were mostly new finds. And the collection of sheet music cover art was fantastic. The show's stories of Minnesota's temperance movement will surprise most Minnesotans — the city of Hutchinson's founding, for example, by a family of protest singers dedicated to women's rights, the abolition of slavery, and men's liberation from alcohol. The Andrew Volstead story may also surprise a lot of people. The Congressman from Granite Falls was seen across the United States as the primary villain of the Prohibition era — an incompetent, humorless zealot who drove the nation to (furtively) drink. He's still remembered this way. But the Rose Ensemble, perhaps following Daniel Okrent's recent book, invites us to see him in a far more nuanced and sympathetic light. "I've Got the Prohibition Blues"
The members of the Rose Ensemble are trained veterans of choral music, and the Rose's seasons always lean toward a wide variety of "early music." The upcoming season, for example, includes one show on "ancient Mediterranean Jews, Christians, and Muslims" and another on "feasts and saints in early Russia, Ukraine, Poland and Bohemia." So, of course, there's the question of how well they handle Songs of Temperance and Temptation — and the answer is pretty good news. The show's first half deals primarily with 19th century conflicts leading up to Prohibition, so a bit of reserve and formal training only improves the verisimilitude. Rest assured, the show cuts loose early on and shows a lot of humor throughout. When they approach something like a barbershop quartet style, they're clearly well prepared. The real challenge comes during Prohibition, when American pop music fell in love with Jazz and the blues, and searched for something like an authentic "street" credibility. The Rose does very well with it, but it's not surprising that swing and growl aren't its most convincing assets. But even in the slightly strained way the Rose Ensemble comes to grips with the 1920's, they remain true to the history. One of the great pleasures of listening to, for example, Archeophone's Phonographic Yearbook series is hearing the pop stars of the era grapple with those very same changes in public taste. The blues and jazz revolution ended a lot of careers, just as Rock & Roll did decades later. Those who survived often did so by learning, with widely varying artistic success, the African American-inflected stomp and swerve in the era's new sounds. The more you hear what was recorded at the time, the more you appreciate the Rose's mastery of this material today. And finally, I know some folks will want to know how they did "Moonshiner's Dance." So here goes. It came late in a show filled with a lot of unfamiliar music, so to suddenly hear a band, right in front of me, strike up that familiar introductory riff followed by that oompah hopped up on goofballs ... it made the hair on the back of my neck stand up. The only recording of the piece in existence — the one I've heard perhaps a thousand times — is trapped in the antique shellac of scratchy, store-bought 78s. It has no other existence. Hearing the piece played anew by a live band immediately in front of me was mind-bogglingly rare, and I felt it in every note. Their approach was to hew quite closely to the original recording. The band was a little light on the beat and lacked the dance band insistence I'd expect, but otherwise tried to "play the record" as closely as possible. In the recording, the third segment of the medley consists of a harmonica vamping some chords, possibly noodling a bit with an indeciperable tune. The blog Old Weird America claims the tune is "Turkey in the Straw," but this is almost certainly wrong. The Rose Ensemble went with this suggestion, enunciating the tune very clearly. I think it was the right decision. "Turkey in the Straw" is familiar and rousing (as the whole medley would have been to its original audience), and fits the piece nicely. It also dovetails (turkeytails?) with my thesis about the recording being something like a big-city parody of rural culture. During the "At The Cross" segment of the medley, the fiddler took up a small American flag and waved it haughtily, which I loved. For one thing, it provided a light suggestion of the satirical stagecraft that I think was the real point of the "Moonshiner's Dance" recording. What we're hearing in the recording was the soundtrack to something we're not seeing. The Rose's performance, then, also necessarily missed the chaos of the recording's laughing, indecipherable voices, and generally ... thick atmosphere that gives the recording its particular and mysterious register. Certainly, I think the Rose's performance worked wonderfully on its own terms, and the piece is plenty sturdy to have a performance life of its own. But the challenges of performing it anew also highlight what I've come to focus on in my years of research — that the original "Moonshiner" recording has the power it has because it is so bursting with its very narrowly specific moment and place. To understand what this peculiar thing really is, then, we need to reconstruct the time and community from which it arose. The Rose Ensemble has gleefully run directly into the path of that time and place, seeking a new way to make a new kind of performance sense for this piece that so often seems bent on denying the very possibility of sense itself. In a way, that reinvention of new senses from old contexts is what The Rose Ensemble does for a living. These are brave people, and I want to see more of them. In May 2006, I was astonished to find the Victoria Cafe, still standing, right there in the Frogtown neighborhood of Saint Paul, MInnesota. Apparently, nobody had figured this out before. Although music fans around the world knew the 1927 recording made by the Victoria Cafe's orchestra, the Cafe's location was unknown. Meanwhile, the old building was familiar around the neighborhood, which seemed completely unaware of any recording associated with it — much less what that recording represented, what place it held in American culture. The Victoria — in which I see unparalleled significance for American music, and especially for the cultural history of the Upper Midwest — was just sitting there unnoticed, uncelebrated, and vacant, watching the traffic pass back and forth on University Avenue. Now, about 5 years later, the City Council of Saint Paul will decide whether to finally recognize this building as an official Heritage Preservation Site. The city has an opportunity to protect this cultural resource and keep the demolition crews away from this landmark. To my eyes, passing up this opportunity would reaffirm the Victoria's decades of anonymity and neglect, instead of finally acknowledging an important cultural contribution made by Minnesota, Saint Paul, and Frogtown. RESIDENTS of Saint Paul, please contact your City Council member and urge them to strongly support the Victoria Theater's bid to become a Heritage Preservation Site. NON-RESIDENTS of Saint Paul, please contact them anyway! You should email the entire council, or just the Victoria's councilmember, Melvin Carter III. Now that the Victoria has reached the City Council, I'm tempted to tell the whole story all over again — explain it all, get it right, pin it down. But, well ... the heart of the matter is out there in one form or another. Here's a sampling. History of the Victoria Theater — a short sketch at the Frogtown Neighborhood Association website. Moonshiner's Parking Lot? — when the wrecking ball was coming for the Victoria, I spilled (some of) my guts about why I think the building matters. A Geography of the Anthology — a map of the influential Anthology, and a reminder of the default Southern emphasis of the idea of American "roots music". North Country Blues — thinking about the American musical canon, and what it means that the Upper Midwest has been neglected too often. Louis Armstrong at the Coliseum, 1939 — Frank Cloutier, the Victoria's bandleader, moved to the Coliseum at Lexington & University, where he was Musical Director for 13 years. Email Me — if you have questions, or answers, about the Victoria or Moonshiner's Dance, or anything else. Saint Paul City Council — please contact them! Save the Victoria Theater — the Facebook group with over 600 members. See also "Anthology of American Folk Music" links at the upper left of this blog. an original copy of the 78 rpm record of the 1927 "Moonshiner's Dance,"
In another clear sign that his campaign is in financial trouble, presidential hopeful Barack Obama is now fundraising among devotees of the southern Appalachian stringband music known as "oldtime." Apparently conceding bluegrass donors to his Republican rival, Obama's campaign is appealing directly to less affluent and less numerous oldtime contributors. Senator Joe Biden, asked for comment while attending a joint New Lost City Ramblers concert / Obama rally, said "This makes perfect sense. I mean, you got the first mainstream oldtime stringband who is articulate and bright and clean and nice-looking guys. I mean, that's a storybook, man!" According to John Edwards, also in attendance, "This is a great idea! You know, Kelly Harrell was a textile worker, just like my fath -- Ow! Hey! Ow! Not the face! Watch the hair! Security!" The oldtime demographic has been ignored by major candidates ever since its support doomed the otherwise front-running candidacy of Henry A. Wallace in 1948. Understandably, Obama's sudden embrace of the clawhammer banjo-playing set has left even some campaign staff puzzled. "You know how you tell the difference between a bluegrass band and an oldtime band?" asked a high-level adviser to the Obama campaign on the condition of anonymity. "The oldtime band is skinnier than the bluegrass band," he said, citing the previous testimony of Garrison Keillor. To appeal to oldtime jammers, the campaign has even changed its official theme song more than forty-two times. "First it was Sally Ann, and then we changed it to Sally Goodin, and then Sally in the Garden," said the exasperated campaign insider. "But the oldtimers didn't even notice! Apparently, they can't even tell their own songs apart!" "Barack has got to put an end to this! He has to lift his foot up!" Editor's Note: There is a (real-life, no joke) update to this article! Maybe the Milwaukee Soldiers Home astounded me so because I was unprepared for it. I had no impression of the place, beyond a few lines on a map, until I found myself suddenly in the middle of it. Then I wanted to call everyone I knew and tell them to go there immediately. My only thought originally was to visit the grave of Frank E. Cloutier's son — Alden, a sergeant during World War Two. The soldiers home, where Alden died, is surrounded by the Wood National Veterans Cemetery, where he's buried. I realized long ago I can learn a lot by visiting the graves of the various characters I encounter in my research. Often, the headstone's inscription teaches me about the person's military service, or relatives I hadn't heard of are buried nearby. Sometimes, I discover a musician was a dedicated Freemason. Occasionally, the adjacent plot for the widow never quite got filled. Once, explaining all this to a coworker, he said, "Just imagine how much you'd learn if you dug them up." I thought seriously about this for a few more seconds then you might imagine before coming to my senses. I think it's possible he could have been making fun of me. Anyway, the grounds of the Milwaukee Soldier's Home are mind-boggling. Approved by Abraham Lincoln, they have the most impressive Victorian (I guess) architecture I've ever seen — overly massive and extremely dramatic. After more than forty years of visiting Milwaukee, I somehow had no idea such a place even COULD exist there, much less that it actually did, and very deep in the heart of the metro area. And the buildings are all dilapidated. I later learned that a concerted effort is underway to preserve and renovate the place, but it is currently in a surreal state of disrepair. Peeling paint, broken boards, shattered windows, yellow police tape everywhere. Any movie studio would gladly pay a small fortune to make pristine grounds look this neglected. Sadly, paying to make neglected grounds look pristine is a harder sell. Strange and disorienting as the visitor's experience is, it's intensified by the overwhelming, looming presence of a cynical and majestically trite metaphor — Miller's Stadium. The unimaginable scale of the stadium, just across the street, gives the impression that you could almost touch it from every point on the grounds. The rows of headstones feel like the stadium's parking lot. The casual visitor will definitely be reminded of the scandal that put Walter Reed in the headlines a while back. Of course, it should be said — emphatically — that I have no clue about the medical care and other services currently offered veterans in Milwaukee. A knowledgeable veteran, for example, recently told me the veterans hospital in Madison is truly world-class. I was surprised to hear this because I know nothing about it. Since visiting this veterans home, I learned that my father's mother volunteered there for many years, helping care for World War Two veterans around the time of the Vietnam War. Maybe my grandmother knew Alden Cloutier. But I wouldn't have known any of this had I not made the effort. I've visited a lot of locations across the Upper Midwest for no reason other than some musician happened to pass through there 80 years ago. The effect is a little as if a Star Trek transporter beam had gone haywire and dropped me off at a random place and time. I highly recommend it. Here is a Flickr set I took there (it begins with rather too many shots of Alden's headstone) and here are some shots by other Flickr subscribers. Recently, Hillary Clinton made a cutesy Lockhorns-ish joke about her husband Bill being a bad and evil man, presumably thinking of the Monica Lewinsky incident, among others. And, you know, all the pundits got busy on it. 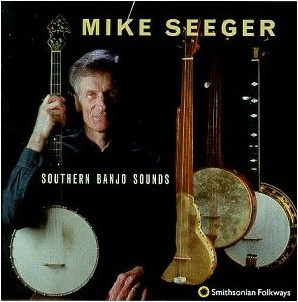 Personally ... maybe it's me ... what I thought of was a cut on Mike Seeger's "Southern Banjo Sounds" — the one called "Last Night When My Willie Come Home." It's one of my favorite cuts on a CD full of brilliant recordings. It's a lively performance, sweet and funny, punctuated by quills — bamboo pan pipes, basically, which Mike wears the way Bob Dylan wears his harmonicas. At the same time, Mike accompanies himself on banjo, sounding absolutely effortless, natural. But the liner notes inform us that he's alternating between SIX different styles of banjo picking based on the playing of Sam McGee, Virgil Anderson, Maybelle Carter, and Charlie Poole. Of course, Bill Clinton was called "Slick Willie" back in 1992, and the Willie in Seeger's song is "slipping and sliding". Maybe that's more than enough of an association. But when Seeger refers to "my Willie" in the first line, it always carries an unfortunate penile image for me, and I have to remind myself that the speaker is Willie's long-suffering woman. Then again, the Starr Report conjured a lot of similarly unfortunate images, and the experience of trying to shake them from my head only reiterates the association, in my twisted mind, between these Willies. More to the point, this is a rounder song — a song about a wastrel, "one who," according to my desk dictionary, "dissipates resources foolishly and self-indulgently." Willie's slippery new shoes are the central theme of all rounder songs — he lives high, spends a lot of capital on all the wrong things, and is ultimately a tragic figure. His shoes are new, but he's dangerously rootless. And it's "Oh me" and it's "Oh my"
What's gunna become of me? No one's gunna stand my bond. Saying "Honey, don't you go"
I don't have a "message" here, at least not about politics. Seeger's "Last Night When My Willie Come Home" is ill-suited to the politics you typically find today on TV and, come to think of it, in blogs. The point of view shifts (and is shared) among the characters, and the song doesn't bother much to identify the guilty and innocent. The song's affectation is light and comic, but the emotional lives of the characters are intense, sincerely felt (the inverse of what you might find on FOX chat shows). Editor's Note: This is the first installment of a grand experiment! The Celestial Monochord will attempt to post one entry EVERY DAY during the month of February 2007. Pray for Mojo! One Post Every Day in February! Attention ladies and gentlemen! Hear ye, hear ye! Next month, The Celestial Monochord will conduct an unprecedented experiment in the history of the internets! We hereby announce and commit, against our better judgement as well as the laws of physics, that there will be ONE ENTRY posted to the Monochord EVERY DAY during the ENTIRE DURATION of the month of February in the year of 2000 and 7! Neither your ears nor your eyes deceive you! Never before has any proprietor of an electronic journal-keeping service attempted a feat of such dizzying blogospheric daring-do! Do not try this at home! Individuals of weak constitution such as ladies and nervous persons are forewarned! Tell your friends and neighbors! It's absolutely free! An event you will never forget! When Bob Dylan was 13 years old, one of the century's worst epidemics of black stem rust struck the upper midwest — particularly North and South Dakota and Minnesota. Up to 75% of the wheat harvest was lost to the disease, which blackens the crop with a powdery, sooty fungus. The economic consequences were severe, and the incident became legendary within the science of plant pathology. There's no way young Bob Zimmerman of Hibbing, Minnesota wouldn't have heard about it. But there were plenty of other diseases to blacken your crops, or kill your animals or you. I'm not an expert in any of them. Ergot can blacken wheat, barley, and other cereals and causes "bad blood" in cattle and humans — convulsions, gangrene, derangement. An invisible fungus in a common grass leads to tall fescue toxicosis, with grotesque symptoms like "fescue foot" and nasty birthing problems. Maybe Bob had heard of such diseases as well. Dylan's "Ballad of Hollis Brown" is an exercise in empathy — its power is in the vividness of its vantage point within the head of a desperately bad-luck South Dakota farmer, and in the way the song dares you to turn away. Having lived in Minnesota for almost 20 years, or about as long as Dylan did before he moved to New York, and I can almost see how the young songwriter might have found the empathy to write such a convincing song. Even in fairly cosmopolitan Minneapolis and St. Paul, farming is always a presence — to this day, grain mills and breweries (or their ruins) are lined up along the Mississippi River. They're a constant reminder that the cold climate used to limit the viable crops to stuff you could grind or brew, plus animal feed — wheat, barley, oats, alfalfa, sorghum, various kinds of hay. When you fill your gas tank in Minnesota, you have a good chance of being reminded that farmers have more options today, such as President Bush's switchgrass. Fully 200 of the nation's 600 ethanol ("E-85") gas pumps are in Minnesota. A few years ago, a friend of mine moved from the University of Minnesota to New York — just like Dylan, you might say, only forty years later. On her first day in Manhattan, a shopkeeper mentioned the lack of rain, and my friend, forgetting herself, asked if the farmers upstate were suffering. The shopkeeper gave her a look as if she'd just evidenced a severe case of Tourette's Syndrome. But that awareness and empathy, which so animated Dylan's "Hollis Brown" in 1964, has its limits. In fact, "Hollis Brown" is primarily about those limits. For that reason, it's convenient for Minnesotans that the song is set next door, in South Dakota. South Dakota's leaders have worked to make the state's economy, and perhaps its conscience, better insulated from the booms and busts of farm life. In 1980, South Dakota was in desperate financial straits and took action by eliminating all laws against usury. Citibank, among other credit card companies, moved operations to the state almost immediately, leading to an explosion of growth in Sioux Falls and, some say, to a lot of South Dakota farmers declaring bankruptcy. I happened to hear "Hollis Brown" on the same day the South Dakota governor (born the very year of the black stem rust epidemic) signed the bill designed to ban almost all abortions in the state, and ultimately, to overturn Roe v. Wade nationwide. That's what got me thinking about the song again. It seemed like yet another example of Dylan's uncanny foresight that he set the song in South Dakota even though, in 1964, Mississippi played the role in folksong that South Dakota now seems eager to play. Dylan got the melody of Hollis Brown from "Pretty Polly," as Greil Marcus has pointed out. "Pretty Polly" is about a young man named Willie who murders his girlfriend for reasons which the song leaves completely unaddressed and which therefore seem to take on a menacing profundity. But as Rennie Sparks points out, at least one of Pretty Polly's 16th-century sources explains the motive simply and without ambiguity: She was pregnant and Willie doesn't want the birth to take place. At least partly, this is the origin of "Hollis Brown" — a story about the murder of a woman as a de facto abortion. The best-known version of "Pretty Polly" (the version Rennie Sparks calls "cold as a cockroach") was recorded by Dock Boggs in 1927. In 1963, Boggs was rediscovered by Mike Seeger who then recorded and traveled extensively with him. In 1993, Bob Dylan made a studio recording of "Hollis Brown" accompanied by Mike Seeger playing banjo in Dock Boggs' very singular style. Really, the banjo part on the recording is basically just a sped-up version of Boggs' "Pretty Polly." The effect of the recording is to return "Hollis Brown" to its family tree, to explicitly situate it within its lineage. In writing "Hollis Brown," then, Dylan surely wasn't looking ahead to 2006. He was looking back to the old Appalachian murder ballads, which the song so convincingly resembles. Marcus seems to claim the song was also inspired by a newspaper report of a mass murder in South Dakota, but I haven't been able to track that down (Charles Starkweather?). Perhaps the more inspiring history took place at Wounded Knee, South Dakota's most notorious mass murder and part of the Indian Wars in which Minnesota also played an unfortunate role. Given the history of this South Dakota farm — where the buffalo no longer roam — I wonder if Hollis Brown and his family aren't merely the most recent seven people to have died there. It makes little sense to try to enlist "Hollis Brown" in a contemporary political fight. Or anyway, that's simply not The Celestial Monochord's schtick. Besides, the song is striking as an early hint of the full-blown poetic strategies Dylan was about to unleash — strategies that revolve around undecided meaning, meaning as an unfinished art for the listener to complete, meaning not as autocratic rule but as democratic process. To claim that "Hollis Brown" is somehow against South Dakota's new abortion law is to pretty much miss the song entirely. Still, it's in the character of Dylan's art to keep coming around, over and over, asserting itself in new contexts. I think this uncanny relevence comes from reaching as deep into empathy as he can, and from his willingness to share with us the work of meaning. Or, maybe the more you're able to encounter the world with the past very much alive in you, the more you're able to anticipate the future. Maybe this is why Dylan continues to mystify, particularly in America where memory is notoriously short and empathy often runs thin. Editor's Notes: The following is transcribed from the 1993 recording with Mike Seeger. Also, the coyote is the official state animal of South Dakota. Is there anyone that knows, is there anyone that cares? You prayed to the Lord above, "Oh please send you a friend"
In a recent NPR segment on religious anti-Darwinism, a young person-of-faith declared that evolution could never be finally, completely proven, whereas Creationism has already been completely proven — "because the Creator," she explained, "is in my heart." Of course, I puzzled over how this could be understood as proof. What if something else — Darwin, maybe, or perhaps The Destroyer — is in MY heart? Or what if her "heart" changes and she loses faith? How then are we supposed to decide how the biological world came to be the way it is? It would seem that proof based on "hearts" leaves us standing on awfully shaky ground. The religious opponents of evolution frequently accuse evolution of encouraging "relativism," although I've never heard an explanation of just what this means, as if it were self-evident. It's not self-evident. Science has an awfully firm bedrock foundation for its knowledge — the world, the physical universe, the empirical field. Science changes its mind about things more often than, say, the Vatican because its understanding of the universe deepens and expands, and because it openly corrects its mistakes. How is science somehow more "relative" than other forms of knowledge, particularly those based on faith (that is, "the heart")? Although Christianity has The Bible (actually, a wide variety of Bibles) to turn to for continuity, it's difficult to see that Biblical study has brought great consistency to Christian thought, either between sects or within a given sect over time. To base belief (that is, what one holds to be the case), on what amounts to culture and desire is relativism so extreme as to make me dizzy. On July 9th, I had to re-read a paragraph on the front page of the New York Times three or four times. It was in an article about an editorial written by the archbishop of Vienna, a close confidant of Pope Benedict XVI, in which he asserted, in essence, that Darwinian evolution is not true, and belief in it might not be compatible with Catholic faith. This assertion was apparently encouraged by Benedict, in a betrayal of Pope John Paul II's general friendliness to evolution and science. 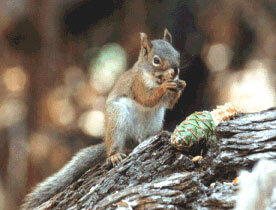 Darwinian evolution is the foundation of modern biology. While researchers may debate details of how the mechanism of evolution plays out, there is no credible scientific challenge to the underlying theory. What's so startling is that these facts were printed in an American newspaper as facts. Most news venues would cut this paragraph on the grounds that "sounds" biased. But it only sounds biased because the facts it contains ordinarily go unreported, or are reported only as the assertions of an expert who is, in turn, contradicted by an opposing expert. So American journalism has its own trouble with relativism in its tendency to "seem" objective while actually measuring that objectivity by its appearance. It would be better to BE objective regardless of appearance — as the New York Times has done in this case — or even to be openly biased. To be both biased and to pretend to offer objective journalism results in a relativism unlike anything Darwin would have tolerated. At some point during the Terri Schiavo fiasco, I saw a right-wing spokesmodel on CNN say something like, "I was in a coma once and I'm sure glad they didn't kill ME!" So, the neurologist she was debating pointed out that she didn't have the same condition that Schiavo had. CNN's host didn't bother to get this little confusion sorted out during the segment — not even close. But the science did matter, desparately. To my ears, the great unspoken core of the story was the anxiety most people seem to feel around the idea of the brain as the organ of awareness. I find most people dislike the idea that your awareness, wakefulness, personality, emotions, identity, spirituality, consciousness, and soul are all artifacts generated by the meat inside your skull. When the meat goes bad, there's no more "you." As neurology advances, I bet we're going to face increasingly counter-intuitive brain conditions and even more vexing medical and moral decisions. We better get ready, in part by facing the facts. None of this is to say that the main conflict was between science and religion — after all, Americans of faith were mostly on science's side on this one. As I watched Shiavo's parents fight to keep Terry hanging around, I kept hearing the Carter Family sing "Don't you want to go to heaven? Don't you want God's bosom to be your pillow when the world's on fire?" Perhaps Pete Seeger's re-writing of a passage from the Book of Ecclesiastes might have been more persuasive, but I didn't think of it until recently. The Hubble Deep Field project uses the Hubble Space Telescope to take a kind of "core sample" of the Universe's development. It always comes to mind when I think of the tempestuous relations between science and journalism. The project requires the Space Telescope to stare into a tiny part of the sky, chosen for its lack of foreground stars, for something like 10 days and nights — that is, it takes a million-second exposure. The result is a photo that looks, at first glance, like an ordinary field of faint stars, but when you lean in to look at the details, you realize the "stars" are all galaxies. The Hubble Deep Field images provide random samplings of galaxies as they appeared in successively younger eras of the Universe, stretching back to when it was only about 6% of its current age. There are hundreds of ways to tease information out of such photos, and they've been a gold mine for astronomers interested in the evolution of galaxy structure and distribution, dark matter, the big bang, etc., etc., etc. When the first such image was revealed to reporters in 1996, typical headlines were "NASA Discovers Thousands of Galaxies" or "New Galaxies Discovered, Wowing Astronomers." It's true that most of the galaxies in the images had not been seen before, but what happened was no more the discovery of new galaxies than the discovery of new pebbles would be when geologists take a core sample of interesting geological strata. Astronomy is not about increasing the count of known galaxies, but rather, understanding how the Universe works and evolved, so at least some journalists completely missed the most rudimentary facts of the story. When you read a newspaper article about something you really understand well, it can make you very suspicious of the article next to it, about which you know almost nothing. On the other hand, I understood what had actually happened — what the news stories should have said — because some journalists actually did get it right. You just had to know where to find them. The Yerkes Observatory is for sale. Possibly one of the most beautiful observatories in the world, Yerkes is located on 77 acres of prime lakeside real estate in the charming resort community of Lake Geneva, Wisconsin. To those who appreciate the history of astronomy, Yerkes is also one of their best loved shrines. Yerkes was the last observatory to be built during what I think of the first space race — a drive to build larger and larger refracting telescopes (those with a big lense in the front and a little eyepiece in back, like a sailor's spyglass). Finished in 1897, Yerkes hosted some of the greatest astronomers and telescope builders of its era — E. E. Barnard, Ritchey, George Ellery Hale, Otto Struve, Kuiper, Chandrasekhar, and the young Carl Sagan. Apparently, the University of Chicago (one of the most richly endowed universities in the world) thinks the most promising buyer at the moment is a New York developer who'd like to (at best) make Yerkes the centerpiece of a gated community of oversized suburban mansions. On July 4th, NASA is going to bash a large plug of copper into a comet (discovered in 1867 by Ernst Temple). Nobody's sure exactly what will happen — which is the main reason to do it — but it should make a sizable crater in the comet and generate a plume of ejecta. NASA seems to like to schedule landings and other such events to coincide with holidays (July 4, December 24, etc.). Not only are people at home and watching TV, but NASA's copywriters often try to manage some sort of tie-in. The resulting headllines can be agonizing. 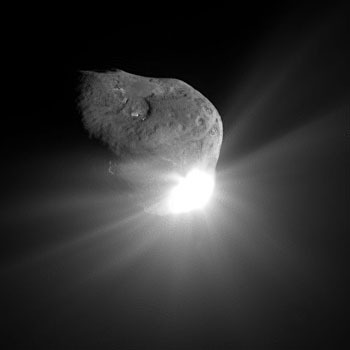 In 2000, the Near Earth Asteroid Rendezvous (NEAR) spacecraft arrived at an asteroid (basically, a large rock) named Eros. A 1999 encounter had failed, and the spacecraft had to take more than a year to swing around again, so I believe the February 14th date of the encounter was a coincidence. But it generated endless headlines about Romancing the Stone in a Valentine's Day NEAR-Eros tryst, etc., etc. I shudder to imagine the headlines this year's unprovoked Independence Day attack on Comet Temple might generate in the USA or abroad. In part, NASA designs its missions as public performace art and then tries to spin the missions to appeal to headline writers — but the agency is simply an inept storyteller. NASA's unmanned robotic missions are incredibly cheap, completely safe, visually and conceptually dazzling to the public, and hugely productive scientifically — especially when compared to the wasteful and dangerous manned space program. Nothing NASA has done in the last 30 years has inspired more interest and support than missions like Voyager, Viking, the Mars rovers, or the Hubble Space Telescope. The credit for these successes goes not to the cleverness of the PR department or the cuddliness of the astronaut corps, but to the skill and creativity of NASA engineers and scientists. Just go with what you do best.